As an interesting experiment, I decided to create a list of “thou shalts/thou shalls” for HR pros. The list is similar to the “original” 10 Commandments List, of course. That said, my list is completely subjective… please use the comment section to strike ones off my list… but… add better ones while doing so. Meaning, your list should contain 10 commandments. The short form version of the 10 Commandments is in italics. (01) You shall have no other gods before Me. Translation for HR professionals: Thou shall put company objectives before your own objectives. Turns out, the priorities and initiatives of the firm ARE the only games in town. Get on board with that you egomaniac. (02) You shall not make idols. Translation for HR professionals: Thou shall trust big data especially when combined with your experience and/or common sense. Turns out, your instinct will always be important so stop being scared of the damn data. (03) You shall not take the name of the LORD your God in vain. Translation for HR professionals: Thou shall live within the values of the firm or quit. Values are important… like duh… and everything we do in HR should be directly linked to them. Period. (04) Remember the Sabbath day, to keep it holy. 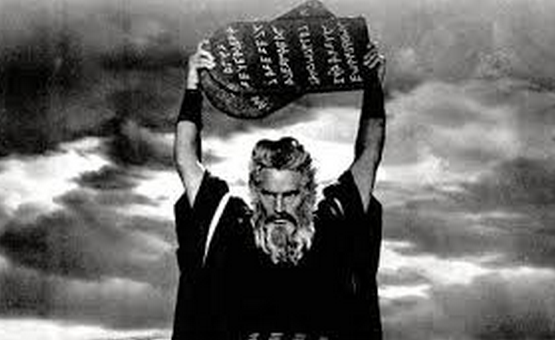 Translation for HR professionals: Thou shall honor the work/life balance of your employees. Turns out, employees want to be engaged and valued, but they don’t want whip marks on their backs. No really… it’s not 1930 or 1830 for that matter. (05) Honor your father and your mother. Translation for HR professionals: Thou shall honor your father (finance) and your mother (operations). Turns out, great HR doesn’t happen in a vacuum. Our parents—whether we like it or not—are finance and operations. Unless, of course, you were conceived via Immaculate Conception… if so, then skip this commandment. (06) You shall not murder. Translation for HR professionals: Thou shall not turn off the Internet at work. That’s tantamount to committing murder. Turns out, turning off the Internet work does three things: (1) your employees will hate you even more, (2) employees will use their phones more and (3) employees will take more breaks. Just to reiterate… your employees will hate you more. (07) You shall not commit adultery. Translation for HR professionals: Thou shall promote for the right reason. Never allow the Peter Principal to metastasize within the organization. Turns out, no one really likes to follow dumb leaders. Short term, we’ll follow anyone. Long term, incompetent leaders get shot in the back of the head. Keep looking forward, Lenny. (08) You shall not steal. Translation for HR professionals: Thou shall not allow the stealing of lunches. Put a camera up if you have to. Nothing worse than having your lunch or Diet Coke or whatever you brought in to the office that rainy day in June stolen. The violation is more harmful than you might think. It’s a morale killer. (09) You shall not bear false witness against your neighbor. Translation for HR professionals: Thou shall not gossip. Truth is, we all have secrets. We’re all consumers of secrets. Hated are those that broker in secrets. No matter what… don’t be that person. Translation for HR professionals: Thou shall not covet other chairs at the table. Build your own… table and chairs. I know it’s cliché but dammit the cliché still permeates our world. Well, there you go. Those are my 10 Commandments of HR… What are yours?